The town wants dairy farmer 'Buddy' Hawes to pay for about $2,000 in damage. The Albion Selectboard voted 2-0 on Sept. 24 to tentatively approve $2,700 in repairs at one of the town’s cemeteries, pending an official estimate from a contractor. The town’s road commissioner asked what happened to the cemetery. 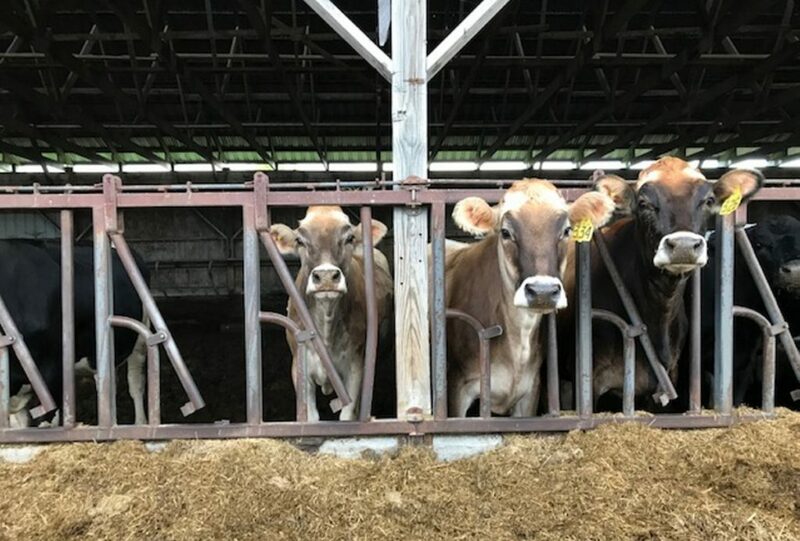 Bradstreet said Thursday that since then the town has received a lower estimate of $1,800 from a second contractor, and she thinks the cows damaged about 14 stones. As of Monday afternoon, several headstones lay broken on the ground, and Hawes thinks that only four or five of them were damaged by his Brown Swiss and Holstein cows. He implicated roughly 20 members of the herd in the escape and said the farm has a couple of hundred cows on 250 acres. Hawes, 66, said that while it’s certainly not unprecedented for cows – including his – to get out, they’ve never made it into the cemetery before. He initially joked that perhaps something else – a bear, maybe – had caused the most recent damage, but quickly conceded it was his cows that had done the deed. After all, he was the one who had the monumental task of getting them out of the cemetery that night. Although Hawes is willing to pay for the damage caused by his cows, he said he hoped that sum wouldn’t be lumped in with cemetery repairs needed before the late-night cattle drive. Bradstreet said the Selectboard will vote Monday on which of the two repair estimates to accept. She said the initial $2,700 estimate came from Aaron Poulin, who mows the town’s cemeteries. Horace Stevens, of neighboring China, provided the second at $1,800. She also had some advice for any driver who comes across cows near the roadway and thinks about trying to move them. “Call the farmer, and he’ll take care of it,” she said.